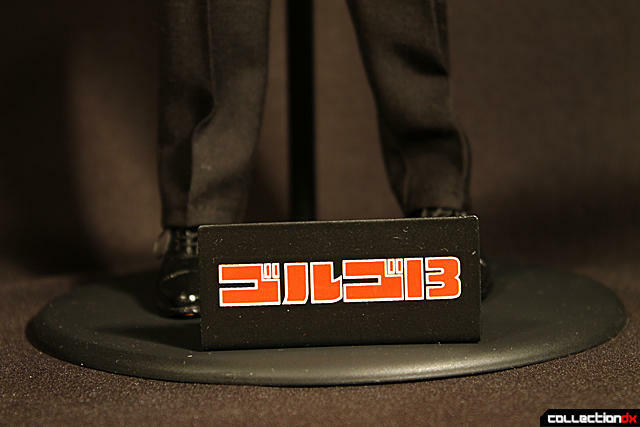 This will be my second 1:6 scale Golgo 13 figure review. My first was Hot Toys' excellent rendition which is now priced out of the average fans reach. It seems Fewture felt it needed to release a version of its own in collaboration with 1:6 scale figure manufacturer 3R which is better know for it's Nazi figures. As a matter of fact, the 3R is literally "Third Reich". 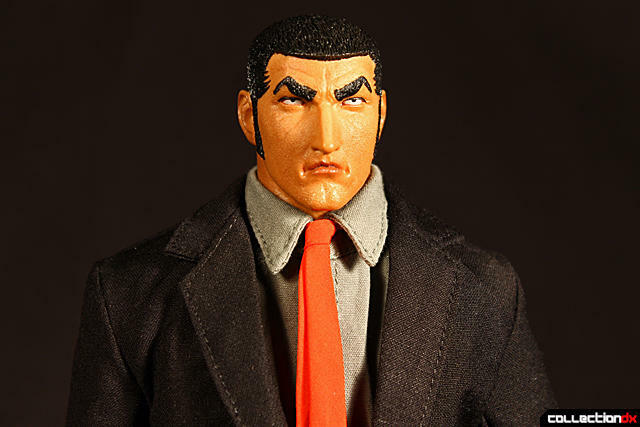 So it was a surprise to me to see a Golgo 13 come from them. I am not sure how involved Fewture is with the project but the end result is actually really good and for the most part, affordable in comparison to the Hot Toys version. 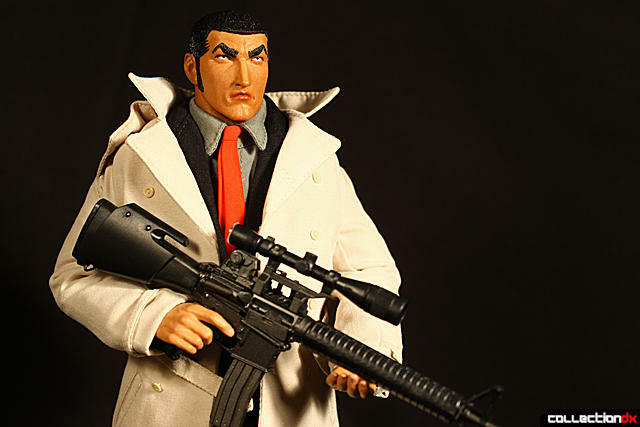 If you need a professional, someone to get the job done no matter the odds, you don't need anyone... you need Golgo 13. Your target is behind bulletproof glass and the only way to get a target on him is from a building a mile away with two skyscrapers in the way, and to top it all off- a 50mph crosswind to make matters impossible. Impossible? I beg to differ. 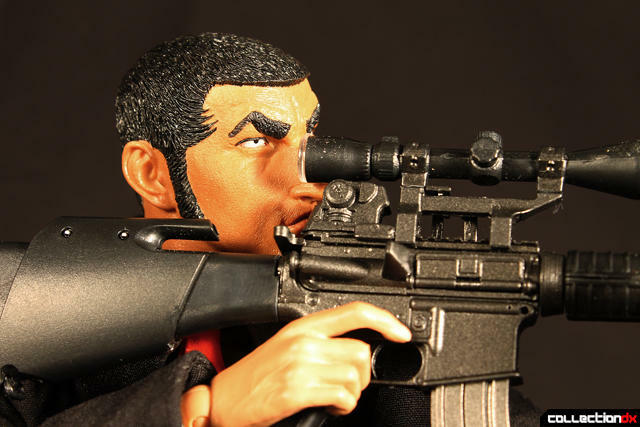 "Golgo 13, also known by the pseudonym Duke Togo, is a professional assassin. His age and birthplace are unknown and there is no consensus in the worldwide intelligence community as to his true identity. Most of his jobs are completed through the use of a customized, scoped M16 rifle. 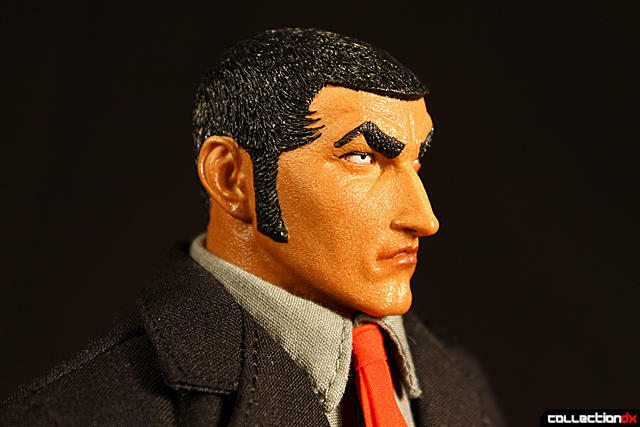 Duke's alias ("Golgo 13") contains references to the death of Jesus Christ. 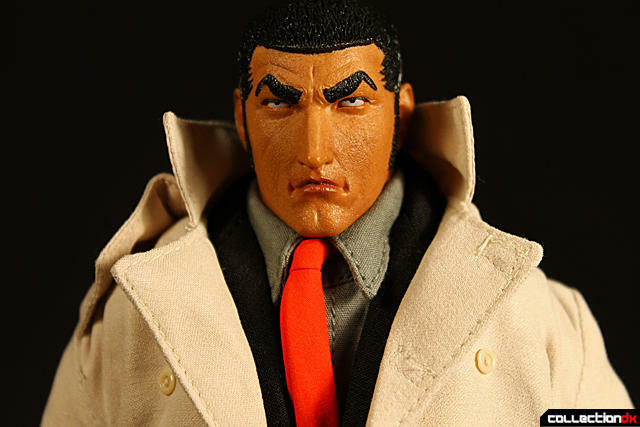 Golgo is short for Golgotha, the place of Jesus' crucifixion. The number 13 is considered an unlucky number in Christianity because there were thirteen participants at Jesus' Last Supper before his execution. Also, Golgo 13's logo is a skeleton wearing a Crown of Thorns. Duke Togo's past is a mystery. Although many episodes of the series have presented speculation about his origin, such episodes always cast doubt on their own theories as well — leaving the readers uncertain whether the information was even true. It is only known that he had a son with ex-PIRA terrorist Catherine McCall named Joey, who was killed in an accidental explosion after he ignited some explosives at a PIRA safehouse." OK, so let's get right down to it. 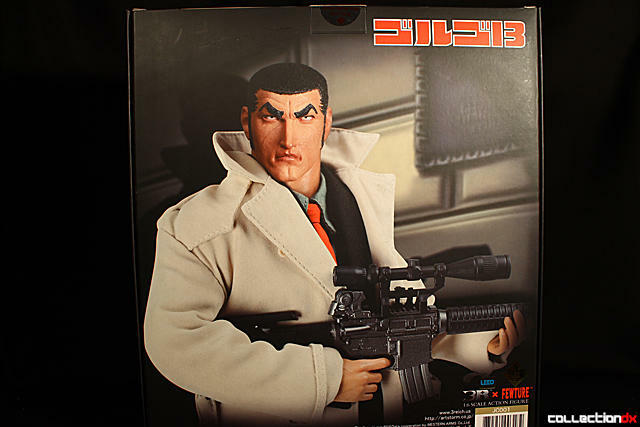 Golgo 13 comes in a high quality satin-finish box, as it should, wrapped in beautiful photos of the actual figure. The front cover, which is held on by magnets, can also be removed to reveal a backdrop of a Tokyo highway, but it seems that the hours at which I took these pictures were not adequate for my brain to remember to photograph it. So for this, I apologize. The first thing that strikes you is the face sculpt. It is much different than the Hot Toys. This one is made to look real whereas the Hot Toys looks like an anime figure. This is pretty cool except that if you try and think of this as a real person, he just looks really weird. Otherwise the sculpting is well done. The skin tone however makes him look like he just got back from a nice sunny vacation. 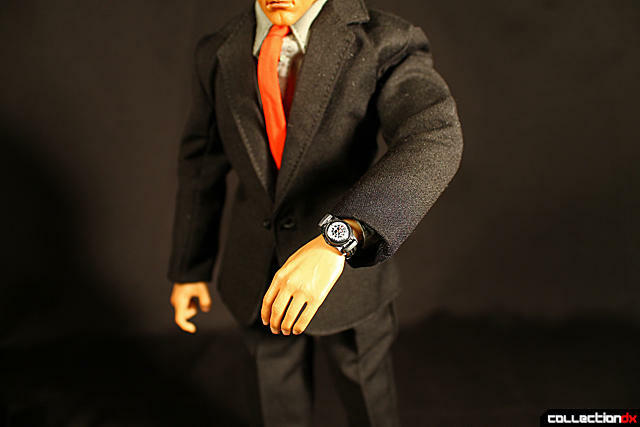 While I felt it unecessary, there are 3 licensed Seiko watches included for him to wear. 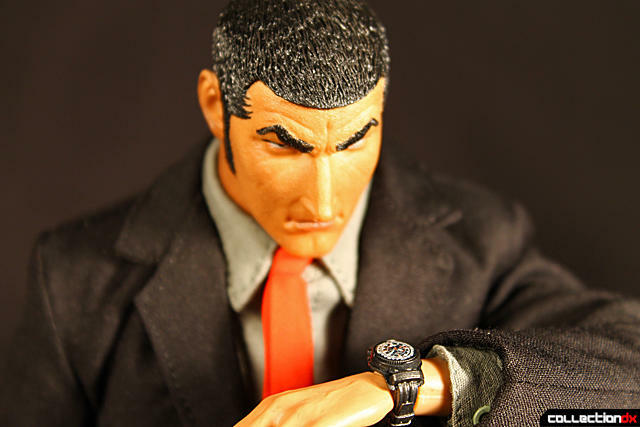 I could have done with one, but it's a nice addition if you're a big watch guy like Golgo 13. You always wanna make sure you blow someones head off on time. He always likes to check the time when a nice woman is near. 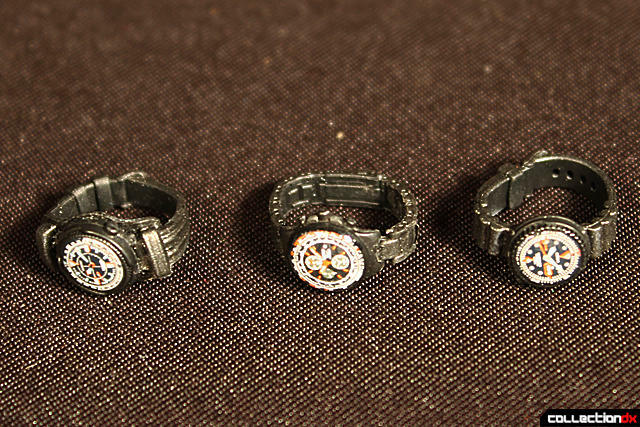 The details on these watches are really sharp. Hey, look at me and my watch! I have 2 more! Although he can stand on his own, leaning forward or back a degree or two too much will cause him to topple over so there is an included stand. Made out of stamped steel with a rubberized coating. Even the logo emblazoned plaque is metal. 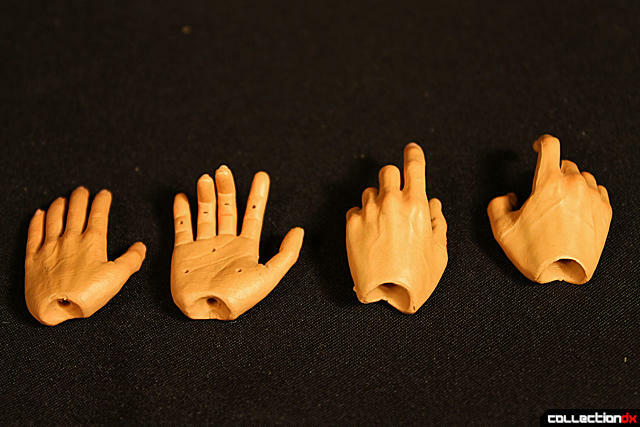 Accessories consist of an assortment of hands with different poses. There is even a hand with bendy fingers if you want to get imaginative. 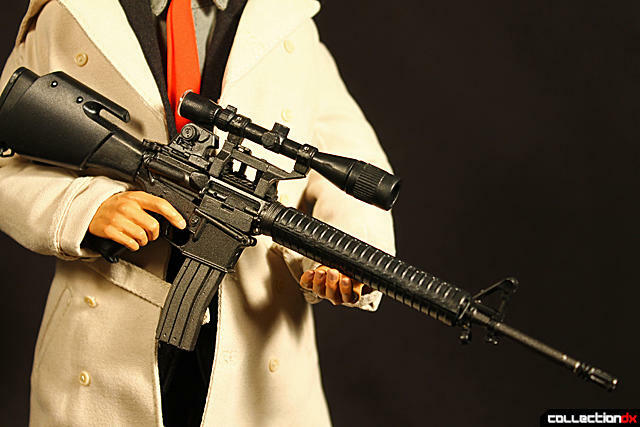 One of the coolest parts of the set is his custom M16 setup. 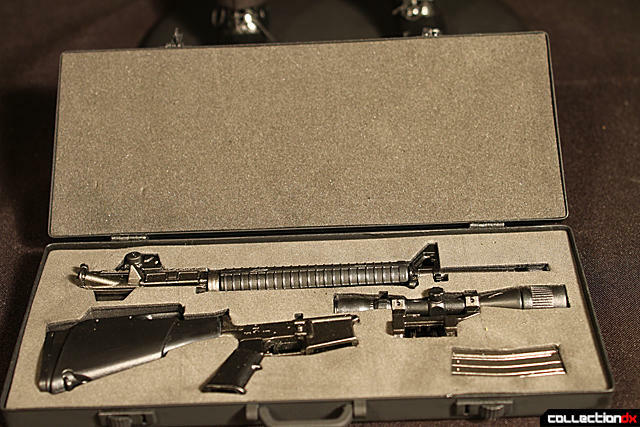 The M16 comes in a nice black case which is also made of stamped steel with rubberized coating. The interior features a firm foam tray with diecut areas where the rifle pieces lay. The rifle itself is very detail. Moreso than the Hot Toys version. There are even tiny metal pins required for assembly. It's already too late if he's in this position. 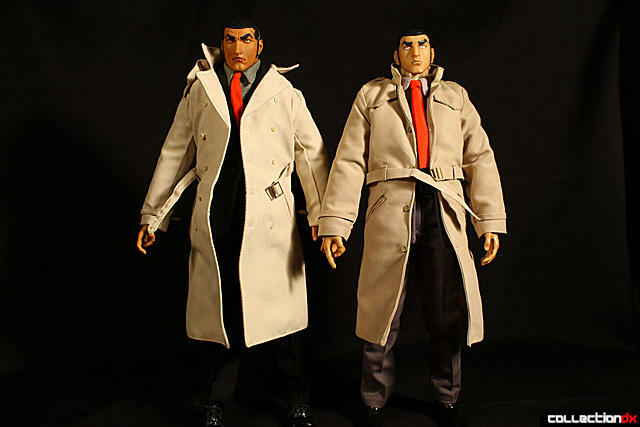 Golgo 13 also comes with his familiar beige trenchcoat which was a bit of a pain to put on in my opinion but features real buttons and not the usual metal snap type buttons. Someone with a bit more patience than I can probably get the coat to fit much better. Add a bit of M16 and the figure starts looking more like the assassin he is. 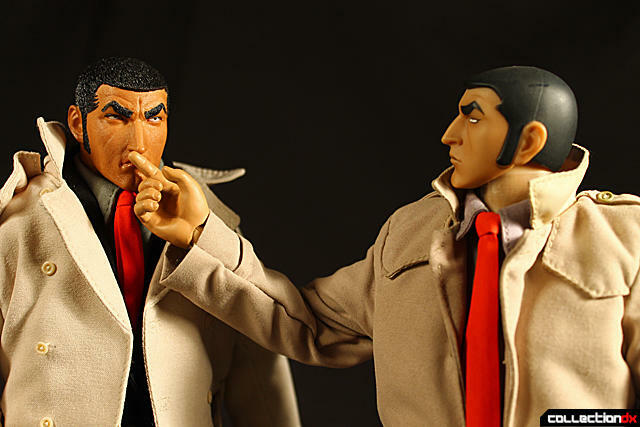 For the rest of the review I think we should take a look at both Golgo 13's together. Fewture on the left and Hot Toys on the right. 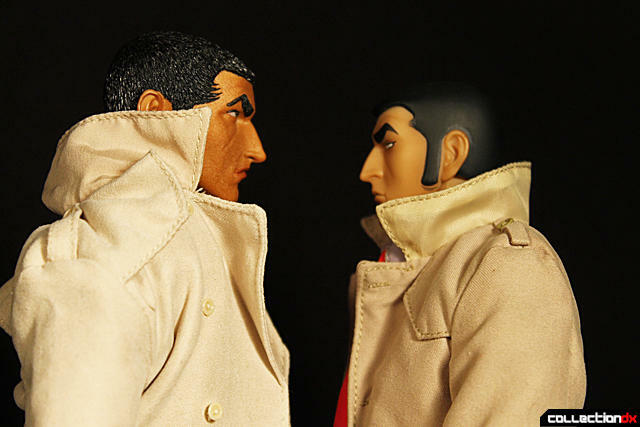 The Fewture version is a bit taller and more menacing looking than the softer Hot Toys version. All these guys did during the shoot was brag about their previous nights engagements with the ladies. That brings us to the end. I can't choose one over the other. The Hot Toys looks just like the anime but the Fewture has the grittiness of the manga. However if you are couple of hundred short to purchase a Hot Toys version, you may want to give Fewture/3R your money. Does he come with a blatantly CGI helicopter? This might seem nitpicky, but when I saw the previews for this I couldn't believe they didn't include his Smith and Wesson as well, and I'm still slightly aghast. Yeah what is it like .20 in plastic? luckily 1/6 weapons are cheap on ebay. ... 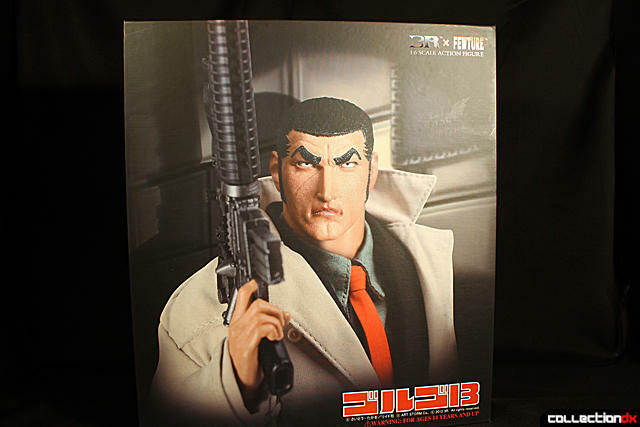 It looks like the Fewture Golgo's got that expression that someone wiped poo on his upper lip... but then your last photo proves it.